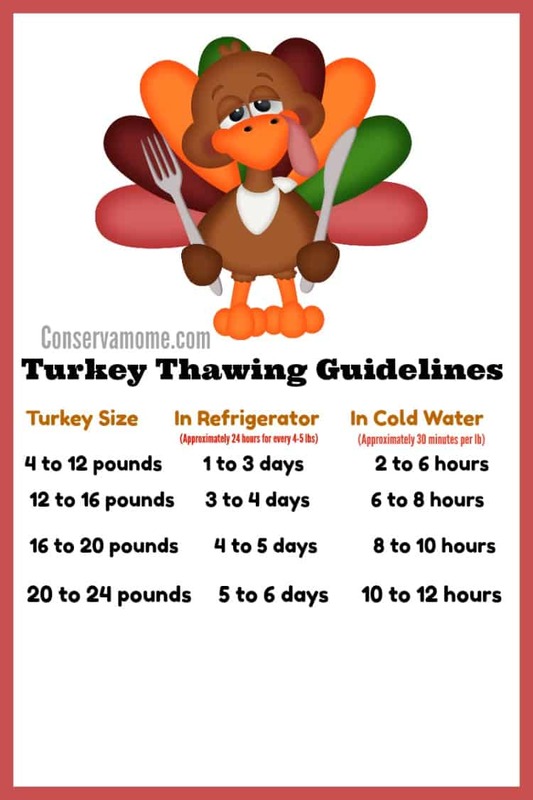 Knowing when to thaw and how long to cook your turkey is essential, so I’ve made it easy with these Turkey Thawing & Cooking Guidelines for the Perfect Thanksgiving Turkey. It’s Thanksgiving Time which means it’s time to be thankful for all you have. If you’re one of the lucky people who will be cooking your thanksgiving day turkey it’s also time to figure out when is the best day to take your Gobbler out of the Freezer. Because everyone wants the perfect turkey you’ll want to make sure you have enough time to defrost it. Turkey’s thawed too quickly will be dry. So make sure and use the correct guidelines. That being said life happens so you’ve also got guidelines for defrosting it in cold water in case you forget. As for cooking your bird, Below are the time guidelines you should follow. 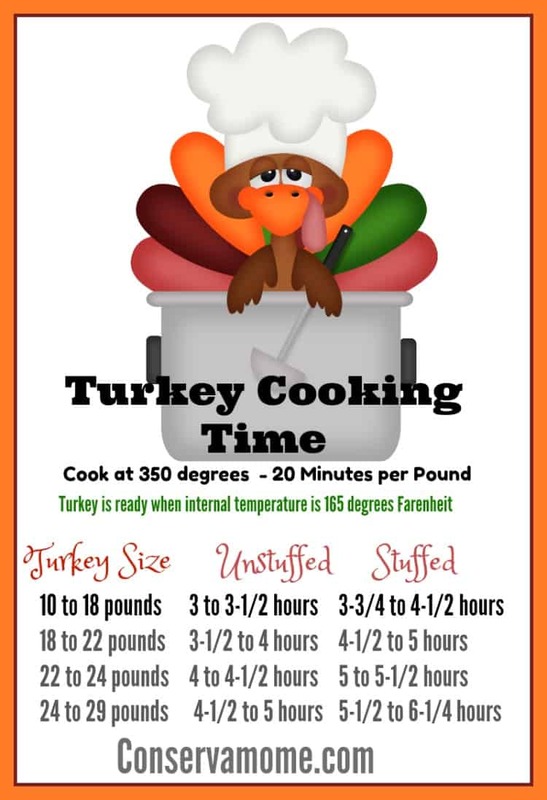 1.The turkey is done when the internal temperature is 165 degrees F. To get the most accurate reading make sure the thermometer isn’t touching a bone. 2. To cook the turkey place the whole turkey on a rack in a roasting pan, and into a preheated 350 degree. You will basically cook it 20 minutes per pound. 3. Cook the turkey until the skin is a light golden color, and then cover loosely with a foil tent. During the last 45 minutes of baking, remove the foil tent to brown the skin. 4.Basting will not make turkey moister, but will promote even browning of the skin. 5.The only true test for doneness is the temperature of the meat, not the color of the skin.So don’t think it’s cooked just by how it looks. 6.If your turkey has been stuffed, it is important to check the temperature of the dressing; it should be 165 degrees F as well. 7.Once your turkey is done, take it out of the oven and have it stand for 20-30 minutes before carving. This will let the juices settle and makes for easier carving. As for how you season your turkey is up to you. I’ve always stuffed garlic cloves into the skin along with garlic salt,and various other seasonings, then covered the whole guy with bacon, making for a very scrumptious bird. The sky is the limit to what you can do with your turkey. I had no idea that if you thaw a turkey too quick it’ll be dry! Interesting. Maybe someday I’ll tackle the task of cooking a turkey. Cute idea of putting the thawing times on the turkey. Good reminder. I Need to pull this out again after Halloween next year.